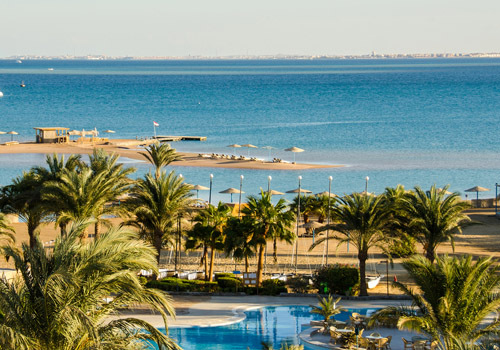 Conveniently located 25 kilometers north of Hurghada, with only a four-hour flight from Europe’s major capitals, El-Gouna is as much a town as a resort, with all the infrastructure of the former and amenities of the latter, including an array of hotels, restaurants, clubs and cafes. 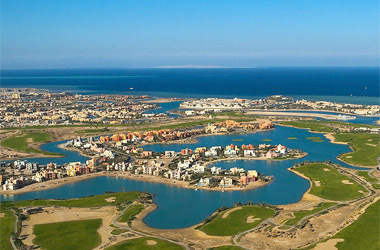 El Gouna is built on 10 km of beach with 17 spectacular hotels; the town of over 15,000 residents spreads across islands and lagoons. In addition to the influx of visitors from around the world, over 20,000 Egyptian and international residents call El-Gouna their home and provide the festival with a core audience. 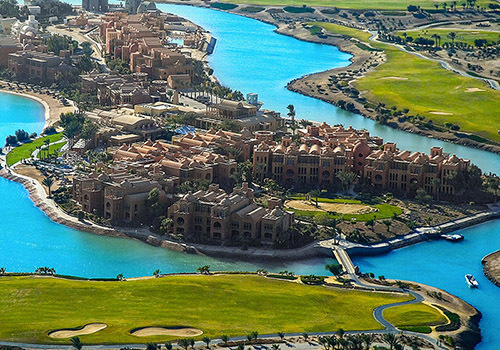 Known for the beauty of its natural setting, its architecture and landscaping, and its commitments to operational efficiency and environmental sensitivity, El-Gouna is practiced in the arts of hospitality and event management. سواء كنت تبحث عن رفاهية الخمس نجوم لمنتجع على البحر أو إجازة رياضية في أحد فنادقنا الحميمية المنتشرة في أفضل أماكن بالمدينة .. الجونة هي اﻹجابة للجميع. 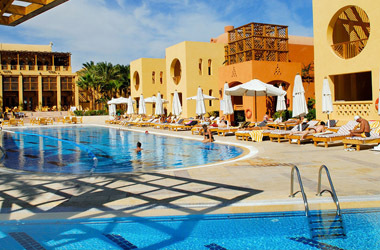 El Gouna hotels, a world of options!